So you want to be an airsoft sniper marksman? Our guide will take you there and give you all of the considerations required to become a successful and dependable marksman. 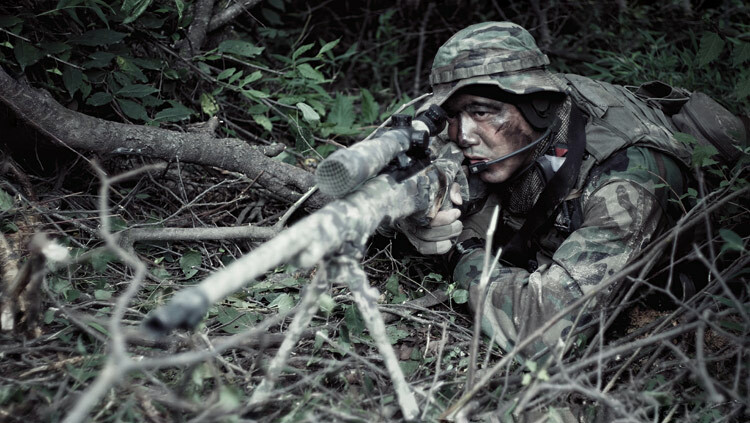 Being a sniper is one of the most sought-after roles in the airsoft world. After several years in the hobby, I can say from personal experience that it seems like more people pick up airsoft wanting to be a sniper than any other “class” on the field. This is primarily due to the “cool factor”. Movies like American Sniper and games like Battlefield and Call of Duty add mystique to this role for their ability to turn the tide of a battle and the “lone wolf” element. 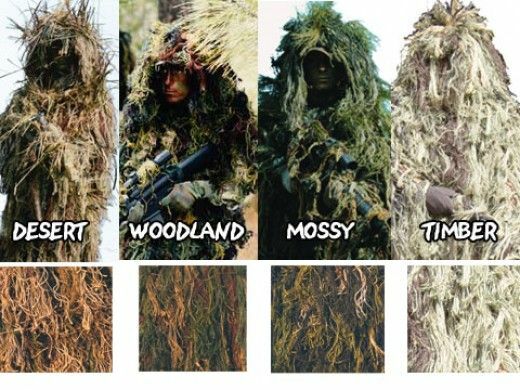 Despite the ‘allure’ and prestige of the role, becoming a successful airsoft sniper marksman takes a lot more than a ghillie suit from an airsoft retailer and a 500 fps replica rifle. It takes a lot of hard work, dedication, money and training to get right. If you think you’re up for the challenge, this guide on How to be a Good Airsoft Sniper will help you on your journey to picking off enemy players from an unseen vantage point. Before we get started with this airsoft sniping guide, would-be airsoft snipers need to understand that Sniping can be one of the most frustrating roles on the airsoft field. Players being targeted often do not notice they have been shot or ignore sniper shots altogether. Most Snipers get the fewest kills per day of any other role or player on the field. Equipment is heavy and costly, and you will likely spend most of your airsoft day crawling on your stomach in a hot burlap suit not even having a clear shot. However, the rewards do exist. Airsoft snipers can effectively take out enemies without being detected and can have a lot of fun doing it. The main character in Jarhead said “The Marine Grunt dies for 3,000 poorly-placed shots. The Marine Sniper dies for that one perfect shot.” If this is how you think, airsoft sniping may be for you. The role of a sniper in the real steel world and the role in airsoft are not all that different. The only real differences are the ballistics and the physical limitations of the hardware we use in airsoft, and the close proximity airsoft snipers have to their targets. In these roles, snipers can be extremely useful to their COs in-game. Especially at large fields (I would estimate 20+ acres) or large OPs, snipers can turn the tide of a battle for the team when they are used properly and experienced. Every good marksman must be well equipped with the right sniper rifle, so ensure you read our buyers guide before embarking on your journey. Your replica rifle will be one of your main tools on the field. While you do not necessarily spend $500+ on a rifle, you should not expect to become the world’s best airsoft sniper with a $100 platform. Likewise, you don’t need to shoot super hot to be an effective sniper. You should do your research and figure out what replica will fit the style of sniping you want to do most, or that you plan to do most. Are you gong to go with Bolt Action or semi-auto? Spring, CO2, Green Gas, HPA, electric? Bullpup or standard? Don’t just pick one at random just because it looks cool. 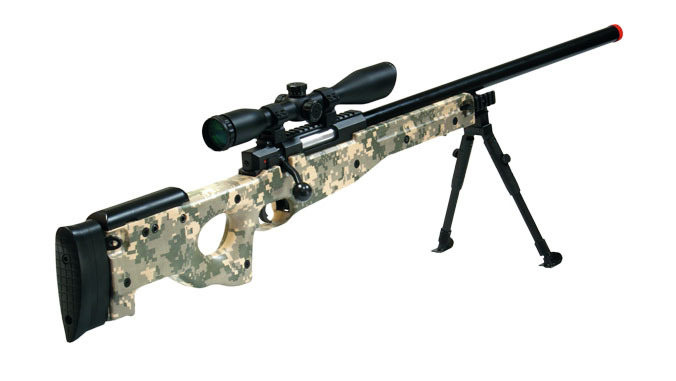 You should like the look and feel of your replica, but I would not advise on selecting a sniper rifle on look alone. Another important part of knowing your sniper rifle is how to upgrade (or tech) it, and how to maintain it. Making a decision on the kind of rifle will determine how much you can expect to pay for upgrades and maintenance. Gas rifles are a blast to shoot as they provide nice recoil – but are a bear to maintain. The cost of gas will add up over time, and gas may be less effective depending on the temperature or humidity. Bolt Action rifles are usually spring and cheaper to upgrade and maintain to an extent, but those parts can wear out more rapidly depending on the power the gun puts out. Upgrades are important when maximizing the performance of your replica. One of the first things a would-be airsoft sniper should purchase should be a precision inner barrel. For snipers, extreme tight bore barrels will help with peak performance. 6.01 +/- barrels are available from every major airsoft retailer, but will require cleaning before and after each game much the same as a real steel rifle would; debris in the barrel can quickly eliminate accuracy. Proper compression is another necessity when upgrading a sniper rifle to optimum performance. Make sure to do your research on your rifle’s best setup. A sniper is not just as good as his/her rifle, though. Any good airsoft sniping guide will tell you that you need a secondary (or even tertiary) weapon on the field. Sniper rifles tend to be very powerful, any all fields should have minimum engagement distances (MEDs). These are usually 75-150 feet depending on how many FPS your replica shoots. You should at least have a semi-auto pistol as a backup. I know a few snipers who prefer to have a small SMG as their secondary, and then might have a small spring pistol tucked somewhere if they find themselves in a jam. Selection of this secondary can be just as important as your sniper rifle, so do you research. Ideally, you want something that has a very close MED, or none at all. As an airsoft sniper, you will be expected to perform on command. You should train with your full equipment so you are comfortable in it, can move nimbly and quickly under the weight of it, and still take accurate shots if you find yourself in a run and shoot situation. Camouflage will be an integral part of your kit. At the minimum, you should tailor it to the climate in which you live and play. Ideally, you should be adaptable to the changing of the seasons and the rules of the field you will play in. Each of these is important in and of itself because individually they will aid in concealment of the human form, but all together they can make the wearer next to invisible, even from someone standing nearby. However, the best camouflage in the world will not help you if you do not learn how to move properly. Moving too fast will give away your position quickly if enemies are within 25 feet-ish. Going low and slow is an important part of camouflaging yourself and making sure you are maximizing your effectiveness as a Sniper. You should be practicing very frequently on targets of different known distances to help you get a feel for your replica and how you can hit targets consistently. You should get comfortable with your aiming device (scope ideally) so that you can make aiming adjustments on the fly without adjusting your scope. If you live in a State that allows firearm ownership, consider learning how to shoot real steel. This will greatly help you in your endeavors to become an airsoft sniper. Proper breath control, trigger squeezing technique, and follow through will help you land more shots on target. All of these things are vital for an airsoft sniper to know how to do well. Observation is something that can fall under Awareness, and will prove invaluable when surveying targets to prioritize fire. Many new snipers will lay in waiting, see a patrol approach, and try to fire as quickly as they can. They will miss most of their shots and either be taken out or at least have their position given away and need to relocate. Learning how to prioritize fire is something that can increase your effectiveness on the field as a sniper. Taking out a squad leader could cause the rest of the patrol to need to fall back due to lack of leadership. At the very least, it will likely cause a moment of panic that will allow you to get another shot off, or move away before the rest can react. Exploration can also include Reconnoiter and Intelligence gathering. 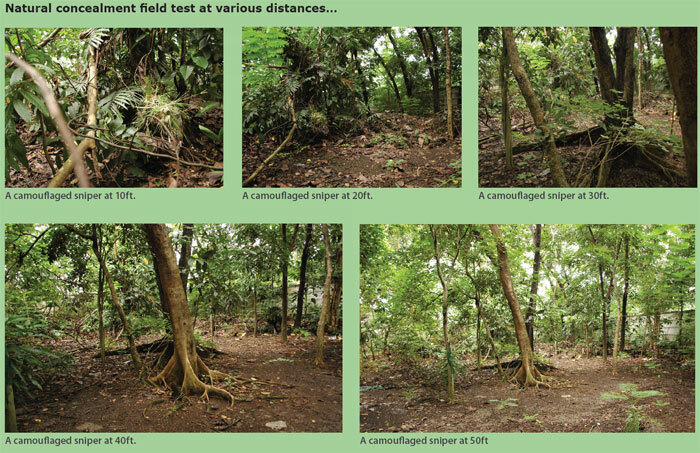 A good sniper should study terrain before they even set foot on the field. Most larger fields will have aerial maps that should be fairly recent that can help plan ambush points, escape routes and fall back points. The season that the map was taken in may limit how useful it is (think full summer foliage vs bareness of winter on the ability to see all of the ground. Very often there may be actual terrain maps available with a simple google search or even just a little bit of effort these will help you understand the flow of the land before you ever set eyes on it. If possible, you should ask to be allowed to explore the field some time to see how things actually are. If this is not possible, learning to be observant as you move along the field will help you in picking your spots. Movement when sniping in airsoft should always be slow and deliberate after concealment is established. Using your observation skills touched on in the last section, move as the foliage is, for example if it is windy. Use natural concealment to assist your movements wherever possible. Something that a would-be sniper may not consider is to try to remain comfortable. When sniping you might remain in the same position for close to an hour or more. You don’t want to give your position away with the need to stretch or spasms from muscle fatigue. You will likely live in the prone position and crawl on your belly. Practice this in your full gear to learn how to move quietly with your replica. You should also learn how to get out when you need to. While inserting yourself into a position, select fall back and escape routes. Traditional wisdom is to have at least 2 escape routes from your current position. If enemies are a good deal away (say 100 feet or so) where their accuracy in shooting at you may be compromised, you will probably be OK to get up and bug out (remember to zig-zag if you can). Fall back to another more defensible point or follow your escape route to safety. If they are close enough to you that you think you might get hit, you might have to pull your sidearm and fight it out. Ideally, you should find yourself in this situation rarely. Airsoft is a sport/hobby that will take up a lot of your time and money. By reading this guide to being an airsoft sniper, you’re already taking the first step, but more may be needed. You should consider following some airsoft “celebrities” on social media, or at least watching videos on your style of play on Youtube. These may offer you tricks and tips that you can adapt to make you a better player. I cannot stress this enough: Nothing you can buy will ever be as valuable to you as practice. You need to practice with your primary and secondary weapons. You need to practice moving, camouflage and concealment. Practice moving quietly. Do Physical Training. Consider joining a team to have some accountability for your training. These are some of the best airsoft sniper tips you can possibly receive. Do your research and select a quality replica that is within your budget and that should last a while. Good pistols for training will offer you more when it comes shooting and accuracy. Understand how to service, upgrade, and maintain your weapons. Keep spare parts available to fix your rifle or secondary weapons at the field. 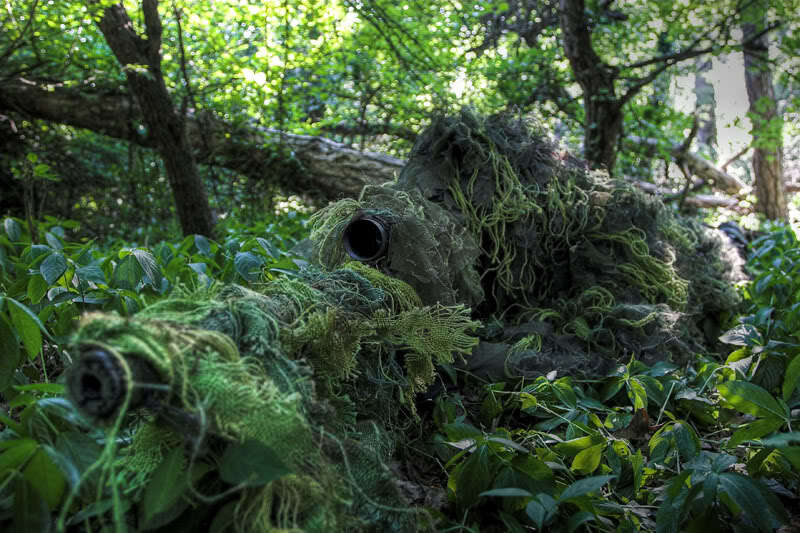 Train yourself in the skills snipers need: Concealment, movement, reading terrain, proper shooting techniques, Learn the limitations of your weapon and how to prioritize targets. Train yourself physically so that your weapons and equipment are extensions of your person. There’s a cool article on Wikihow to help cement your knowledge also. Overall, this is a guide on how to be a good airsoft sniper, but it is not Gospel. Experience is the best teacher and you will have to put in the work to make yourself effective on the airsoft field.